we conducted special session on science experiments at Govt Hr.sec School,Renganathampettai,Karur. Conducted by Dinesh and Kannan. we explained (Hands on experiments) 33 experiments. 46 students will explain that experiments to the remaining students on October 31st. Mrs.Shanmugavadivu , Teacher made all arrangements. 3. Duration, place of study and eligibility for each course. 1.Mrs.Shanmugavadivu will train us to improve presentation skill. 2.Career guidance PPT. Will be up dated and published soon. As part of SEBLA -Science Experimental Based Learning and Awareness, We provided financial assistance of Rs.200 for field visit. 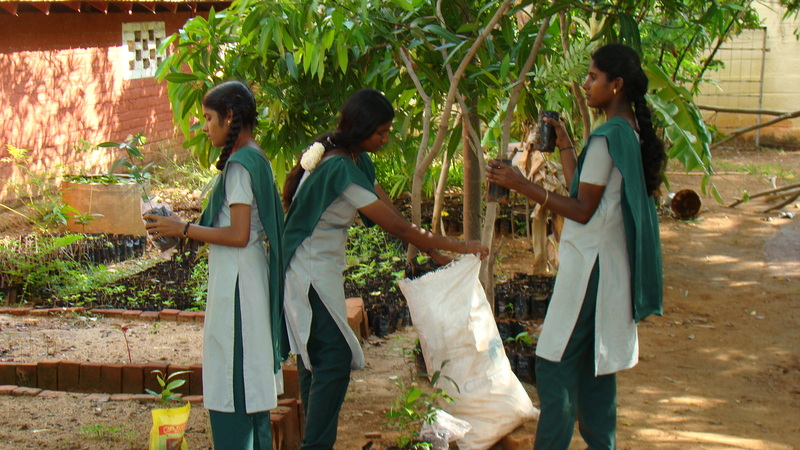 Students of Govt Hr Sec School Renganathampettai Karur visited the Organic Farm at Mayanur,karur to study and compare the fertility of land. Students will submit the report to Tamilnadu Science Forum. It is for competition. The complete project report will be released once the project is completed. We thank Mr.Gunasekaran and Mrs.Shanmukavadivu for their consistent support to the students. We have paid College fee for Kathiravan R.
For further details , Please find the attached report. Again now he is able to arrange 2000 Rs. Indiasudar wants to support this needy …..Your 5000 Rs will educate this right candidate. here is a request from a highly deserving candidate. KATHIRAVAN who completed BBA with 74% is pursuing MBA through Distance education -Anna University,Chennai. He is our member and an active volunteer. He takes evening tuitions to nearby students to meet his personal needs , other academic requirements and Civil service exam preparation. His father is an agriculture labour. His earnings meet the family’s basic needs and his daughter’s requirement. Interested members can help this needy. ONSITE verification has been done. Thanks to each members for the continuous support.